While adults can experience the same results as children and teens in terms of achieving a beautiful, straight smile, the treatment often takes longer. This is due to several factors. Because the jawbones in an adult are fully formed, it is somewhat less receptive to orthodontic treatment. In addition to that, gum disease, which is generally unique to the adult population, may hinder the progress of orthodontic treatment. 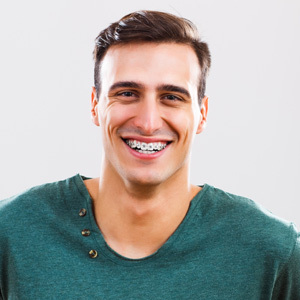 While traditional metal braces are sometimes used for adults, our patients typically choose a more discreet, convenient orthodontic method. Options include clear or tooth-colored ceramic braces, Invisalign® clear aligners, or other types of clear aligners made to fit your needs.